Cancer patients in Gaza are unable to receive treatment due to severe shortages in chemotherapy drugs, part of a growing humanitarian crisis in the besieged enclave. The spokesman of the Ministry of Health in Gaza, Eşref al-Kudra, warned earlier that the drugs used for the treatment of cancer patients in Rantisi hospital have run out, thereby the treatment in the hospital was stopped, as reported by Anadolu Agency (AA). The Rantisi hospital is the only health institution where cancer patients are treated in Gaza. Kudra also reported that the drug called Neupogen, which strengthens the immune system, as well as chemotherapy drugs, have completely run out. Stressing that the ongoing crisis should be ended immediately in Gaza, Kudra noted that the health of hundreds of patients are in danger. Israel's long-lasting blockade of the Gaza Strip has created chronic shortages in Palestinian health facilities. 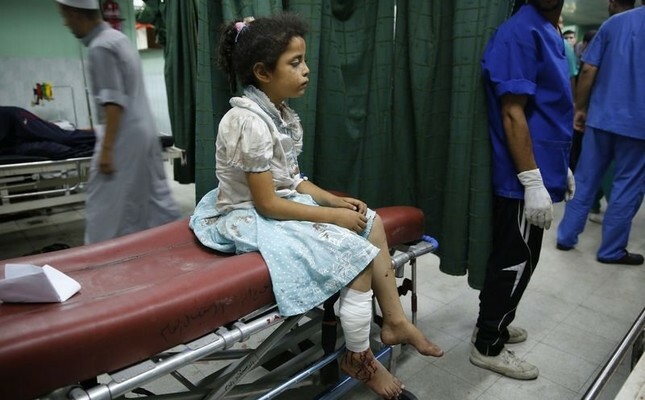 The humanitarian situation in the occupied Palestinian territories is deteriorating further as hospitals struggle to cope with high casualties since protests on the Gaza-Israel border began on March 30. 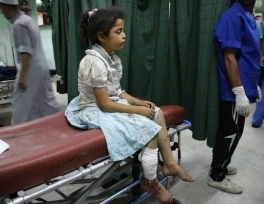 Gaza's health system of 13 public hospitals and 14 clinics run by NGOs had buckled under persistent blockade-linked shortages of medicines and surgical supplies. Israel controls all access to and from the Gaza Strip apart from the Palestinian enclave's crossing with Egypt. Hamas is in power in the strip, and has fought three wars with Israel since 2008. Under an Israeli blockade for more than 10 years, Gaza lacks infrastructure and key medical equipment. Many patients seek to travel elsewhere for treatment. Since 2007, the Gaza Strip has been under a crippling Israeli and Egyptian blockade that has gutted its economy and deprived its roughly 2 million inhabitants of many vital commodities, including food, fuel and medicine. In the long-embargoed enclave, the humanitarian situation has gotten worse each day. Dozens of Palestinians have long demonstrated against high unemployment rates in the Gaza Strip, which has been reeling under a crippling Israeli blockade. With poverty rampant and unemployment high, many of its 2 million residents depend on services provided by the U.N. relief agency UNRWA. Protesters called on local authorities and the Ramallah-based Ministry of Labor to intervene to create jobs for jobless Palestinians in the seaside enclave. The World Bank earlier warned that the Gaza economy was in "free fall," calling on Israel and the international community to take immediate actions to avoid "immediate collapse" in the Palestinian territory. According to the bank, unemployment is now over 50 percent and over 70 percent among Gaza's youth.